In his TED talk titled “Want to be happy? 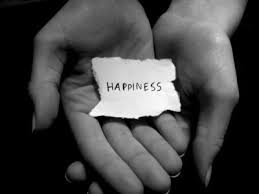 Be grateful”, David Steindl-Rast, a Benedictine monk makes the point that happiness arises when we avail ourselves of the opportunity presented by each moment in life. Even in difficult circumstances opportunity still exists and happiness is available. What displaces being present to the opportunity of each moment is that we are so busy rushing through our lives that we don’t stop and look at what the opportunity of that moment is. So his solution is simple. Stop – Look – Go. He says we have to build stop signs into our lives. So you could say that from one perspective leadership is about stopping, looking at the opportunity of each situation or challenge we face and then going on to address that situation or challenge from the opportunity presented. Think of how much happier you would be (and the people around you) if you were working on manifesting opportunities instead of surviving each moment. So what are some stops signs that you can schedule into your day to remind you to be present to the opportunities that arise moment by moment? Just start with one and when you stop, just connect with the opportunity and respond from there and you will provide authentic leadership.